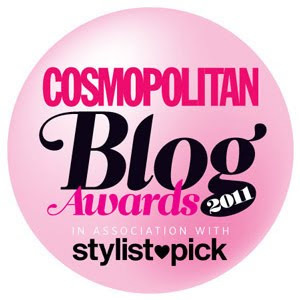 My latest guest blog for the US fashion and beauty website The Style Glossy is about the cape. Click here to read my blog post - it's the one dated Monday 16th August 2010 (I hadn't realised it was up until now!). I first blogged about this superhero piece back in April when I wrote about two capes bought on eBay. Of course, now they're everywhere on high street as, along with the shearling jacket and the camel coat, the cape is autumn/winter's biggest outerwear trend - and possibly the most versatile of the three. 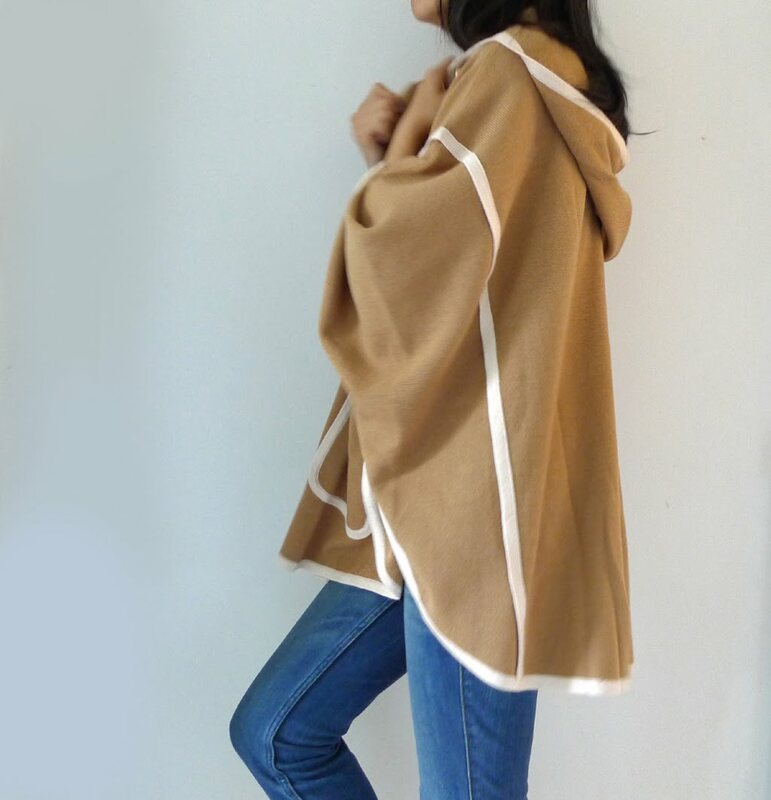 For starters, the cape encompasses both shearling and camel in its many guises. You only have to look to Céline for its beautiful snow-white shearling version, and everywhere from COS to ASOS has interpreted the popular camel coat as an equally desirable camel cape. Then there are the military designs (Topshop, ASOS), the tailored pieces (Reiss, Whistles), the classic wool options (Jaeger, Karen Millen) and the casual knitted styles (Gap). This H&M cape falls in the latter camp, as well as promoting the season's signature shade. I like how its two-tone colourway and gold buttons adds an instant air of class to its low-key look, while the large patch pockets and hood are comforting and cosy. Its simple design is perfect for teaming with skinny jeans or slim-leg trousers, both of which offset the cape's voluminous proportions. At £49.99 it may be a tad pricey for a piece of knitwear, but you do get two trends - the cape and camel - for the price of one. And it's a nice way to ease yourself into autumn without yet committing to a coat. I love it but probably a nono for me as I am a great skirt and dress wearer and have to have my bag on my shoulder - will admire it from afar! The cape can be worn with skirt and dresses, too! Think ladylike pencil skirts, the new mid-length and sweet little circle skirts. And you could wear a small across-the-body bag underneath this - there's plenty of room! Go for a long strap so the bag peeks out at the bottom of the cape. Love the perfect shade of camel colouring on this along with the proportional pale trim. Great find.